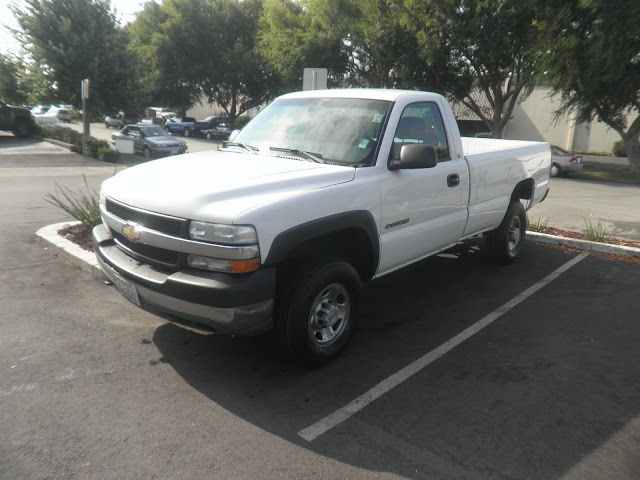 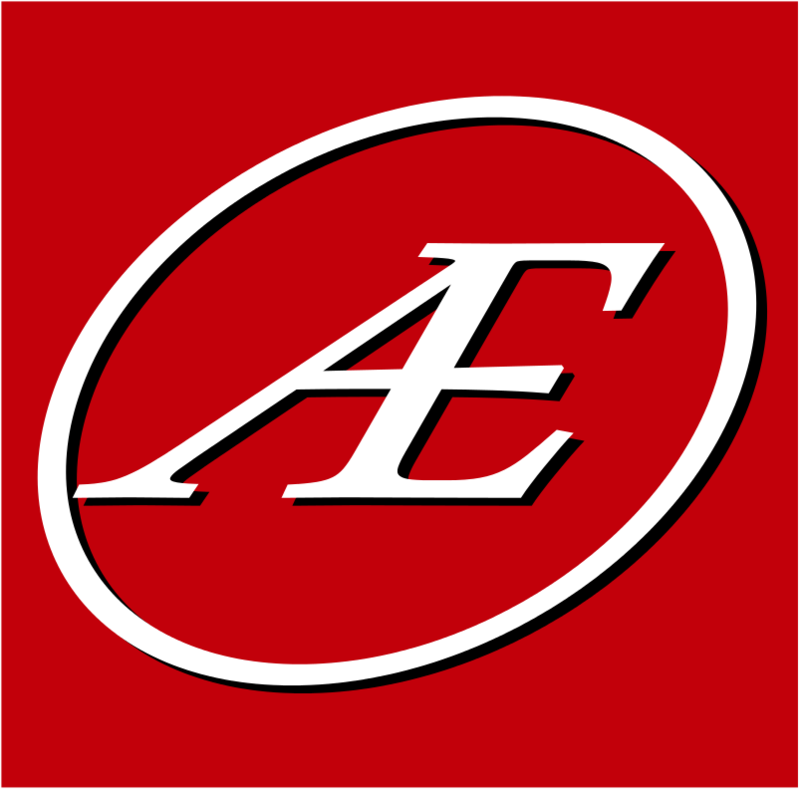 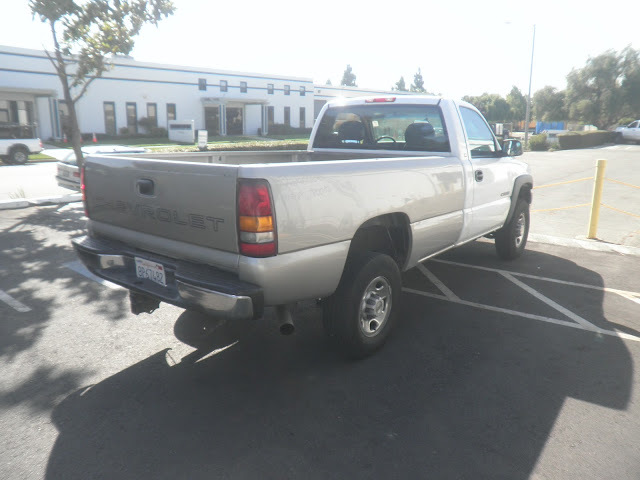 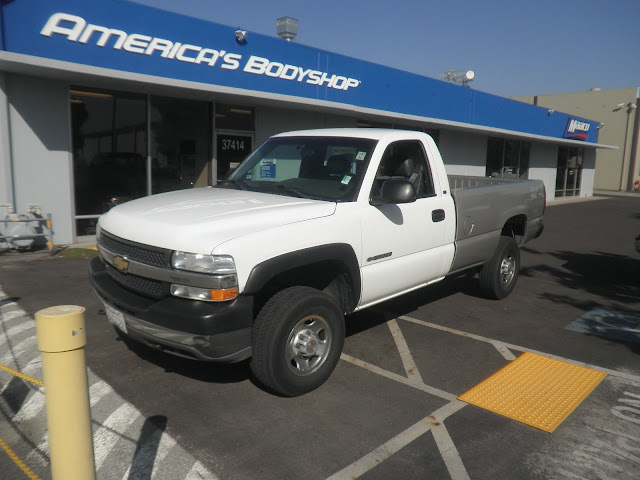 Almost Everything's Car of the Day is a 2001 Chevrolet Silverado. 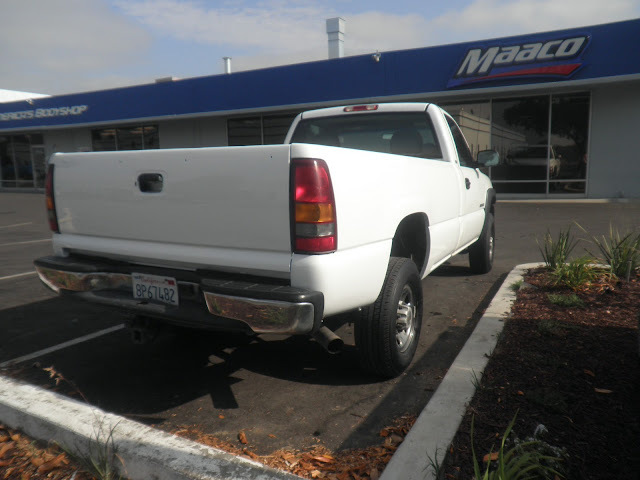 It is a work truck had been in some kind of accident and the owner replaced the bed with one from a junkyard. 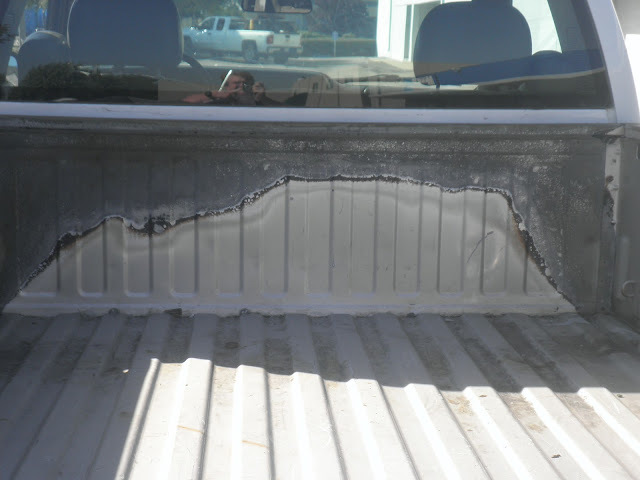 The salvaged bed was the wrong color and appeared to have been off a truck that had burned. 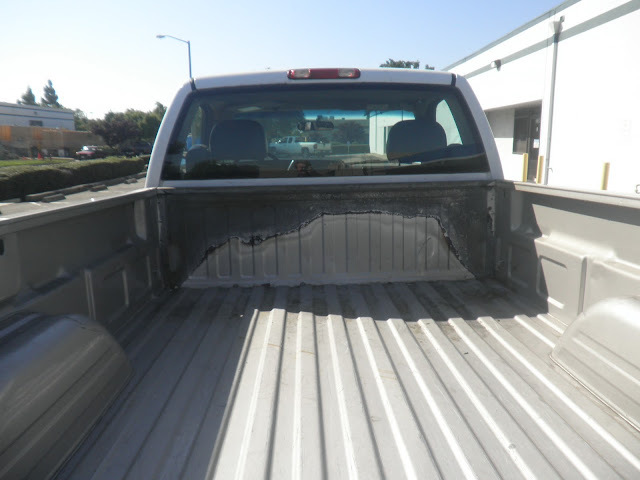 All of the paint on the front of the bed was scorched off and the metal was rusting. 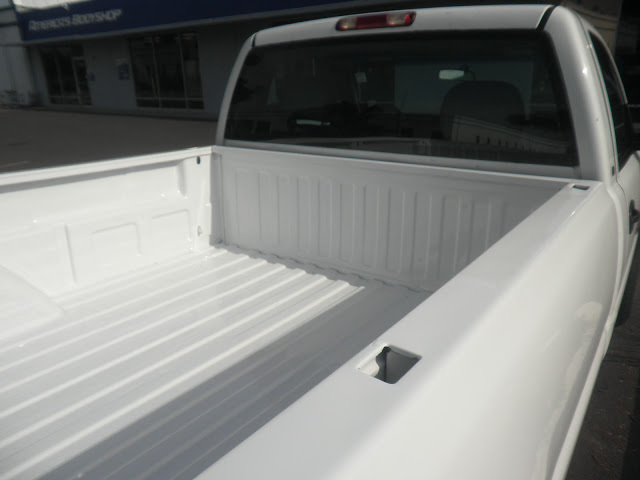 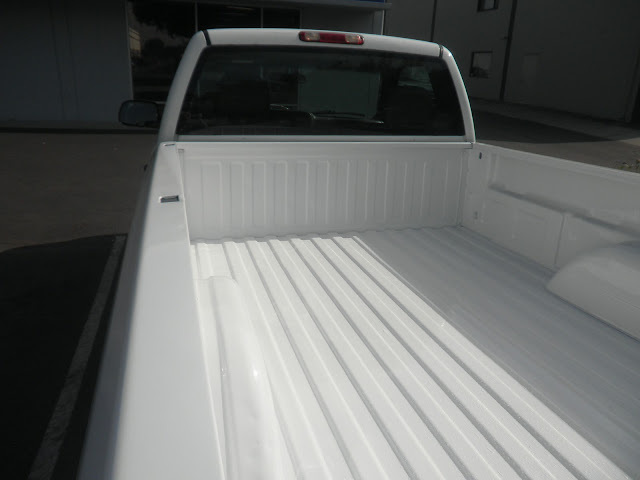 We reconditioned the rust and painted just the bed to match the original white of the cab.